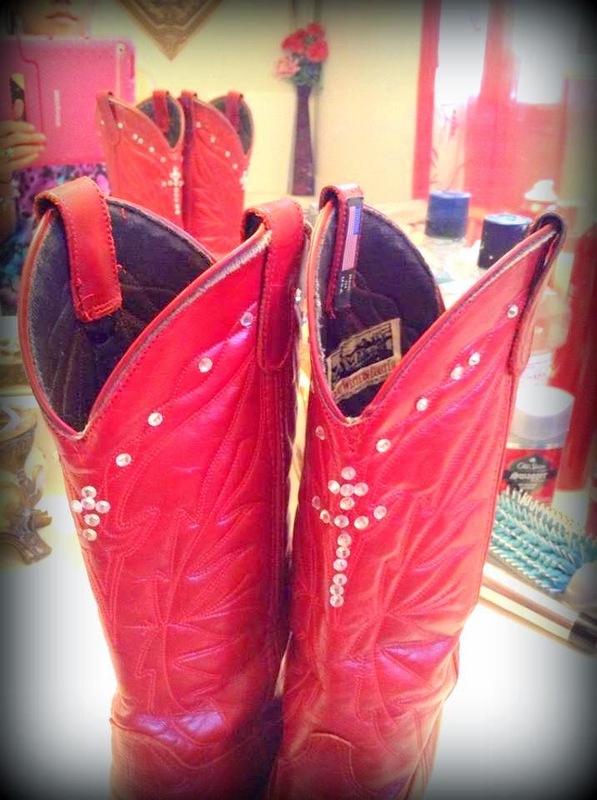 I've been wanting to own a pair of bedazzled cowboy boots, but boy the price is way beyond my budget. 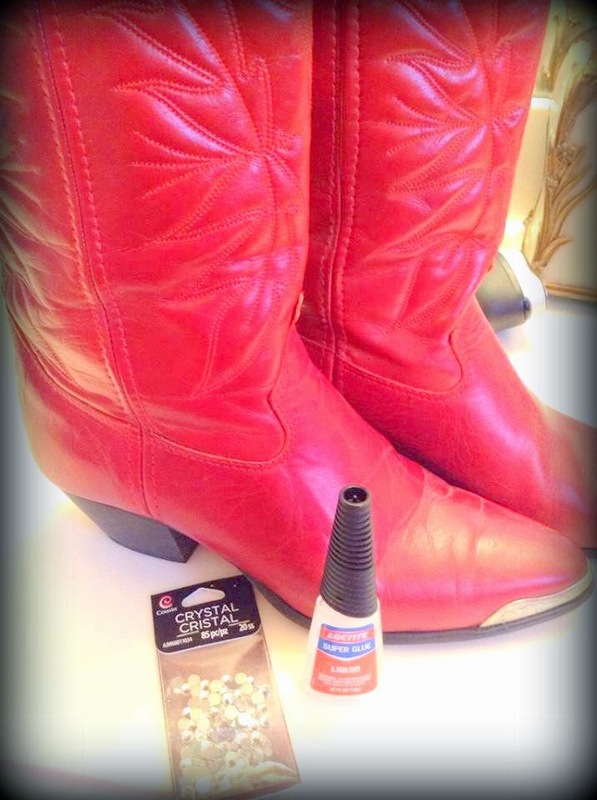 So I've decided to transform my favorite red cowboy boots that I purchased on eBay years ago. 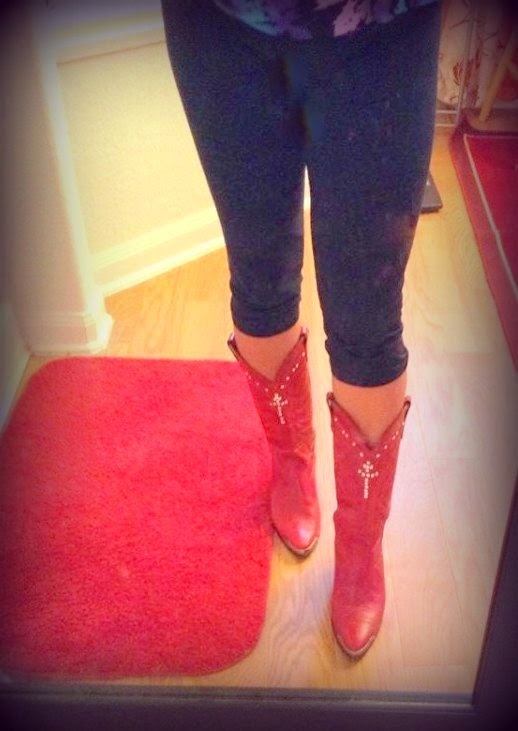 I know it's a little scary risking my good pair of leather boots, but I was confident enough to do the project. I bought a pack of crystals and a small bottle of glue for less than $10.00. Applying the rhinestones were super easy. I didn't put a lot of blings and go crazy over the crystals. Just the way I wanted. It looks sophisticated. I really love how it turned out!